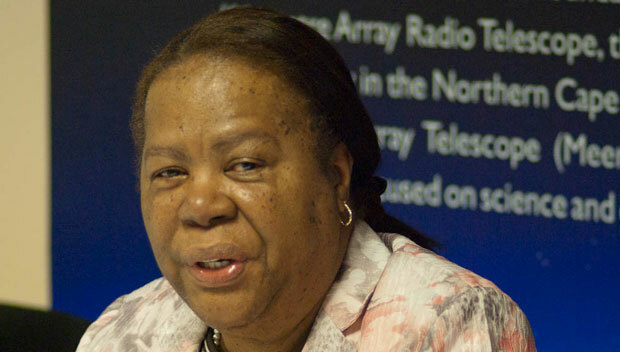 The first antennae for the MeerKAT radio telescope — the precursor to the large-scale Square Kilometre Array (SKA) project — will be ready for service at the end of June, science & technology minister Naledi Pandor said on Friday. “Twenty-one antennae will be mounted and ready for science,” she said at the third SKA African partner countries ministerial meeting in Muldersdrift, west of Johannesburg. They had hoped to have 28 antennae ready, but there had been a number of changes. The MeerKAT would be integrated into first phase of the SKA project. It is being built about 90km outside the Northern Cape town of Carnarvon. The SKA project is an international enterprise to build the largest and most sensitive radio telescope in the world, and will be located in Africa and Australia. Deploying thousands of radio telescopes, it will enable astronomers to monitor the sky in unprecedented detail and survey it thousands of times faster than any current system. The MeerKAT telescope was originally known as the Karoo Array Telescope (KAT). When its budget was increased, it was re-named “MeerKAT” (More of KAT). The meerkat, or suricate, is a member of the mongoose family and lives in the Karoo region. According to the SKA project, once up and running, the MeerKAT will generate enough data from the antennae to fill about 4,5m standard DVDs in a day. Once all its 64 antennae are operational, MeerKAT will be sensitive enough to pick up a cellphone signal from Saturn.